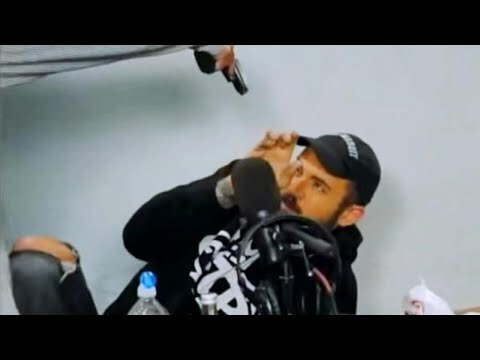 YouTube star Adam22 initially thought someone was playing a prank when he had a gun pointed at him during a livestream of his hugely popular “No Jumper” podcast. But the 35-year-old, whose real name is Adam Grandmaison, said he quickly realized it was no joke. “It was just pure shock,” he told Inside Edition. Viewers got a big surprise during the podcast when a hand pointing a gun entered the frame and Grandmaison tried to push away the weapon.